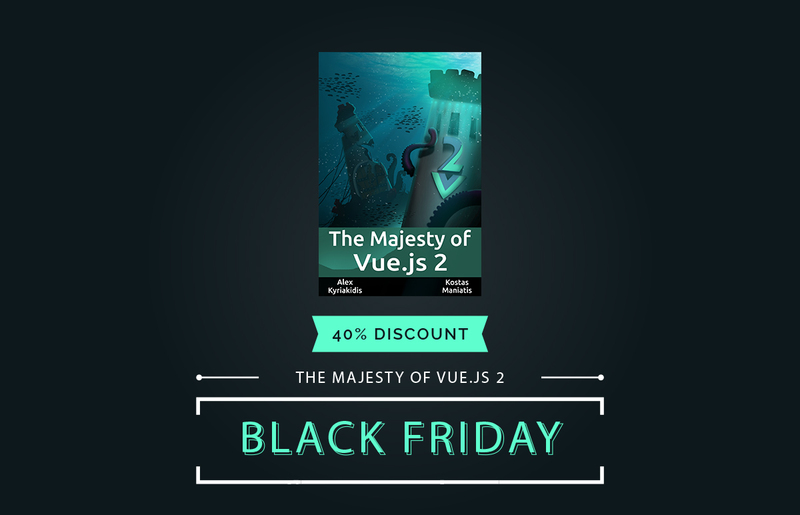 Today is Black Friday and The Majesty of Vue.js 2 couldn't miss the party. If you haven't read it yet, this is a great time to get it at a 40% discount. The book is constantly updated and you will get all the updates for free. So, head to LeanPub and grab your copy before 29/11.